Vegan Raspberry Coconut Scones are a healthier sweet treat for breakfast. These are gluten-free, made with coconut flour and oats! My sweet breakfast kick continues. For over a year, I was on a nonstop savory & spicy breakfast kick (see breakfast tacos, page 30 in the book). Next came the carrot-ey baked goods, and now we’re onto these raspberry scones. Or I should say, the royal “we” are on to these scones. Jack loves them too, but my dirty secret is that he only has one or two out of every batch because I hide the extras in the freezer – where I know he will never look (well, until he reads this). These little treats are vegan and gluten-free. Instead of butter and cream, they’re made with coconut oil and Almond Breeze. To make them gluten-free, I use a combination of oat flour and coconut flour. Lately, I’ve been getting a lot of comments asking for more (or, um, any) recipes with coconut flour. It’s a funny flour to work with. It’s never a 1:1 replacement in baking recipes because it absorbs so much more liquid than any other kind of flour. Luckily, I found it really helps the texture of these scones. They’re dense in that way that scones should be, but not dry in that way that scones often are. These are lightly sweet on their own, but they’re extra delicious drizzled with this almond milk glaze. I know, I know – I’ve wrecked the healthy breakfast, but I highly recommend not skipping the glaze part. This recipe makes 2 disks that slice into 6 small-ish scones each. And as I mentioned above, they freeze extremely well. Let them thaw at room temp or pop them in the microwave for no longer than about 10 seconds. These Raspberry Coconut Scones are a delicious healthy breakfast or brunch treat. Vegan & gluten-free, we love them drizzled in a powdered sugar glaze. In a small bowl, stir together the powdered sugar and almond milk to make the glaze. Set aside. Using a food processor or a blender, process the whole rolled oats into a fine flour and measure out 2 level cups. Reserve the remaining flour for dusting. In a large bowl, stir together the oat flour, coconut flour, sugar, baking powder, and salt. Cut in the chilled coconut oil using a pastry cutter or fork until the mixture resembles coarse crumbs. You can also use a food processor for this step, if you prefer. Add the cold almond milk and stir to incorporate. Turn the dough out onto a floured surface and knead gently several times, incorporating more flour if needed. Separate the dough into two halves. 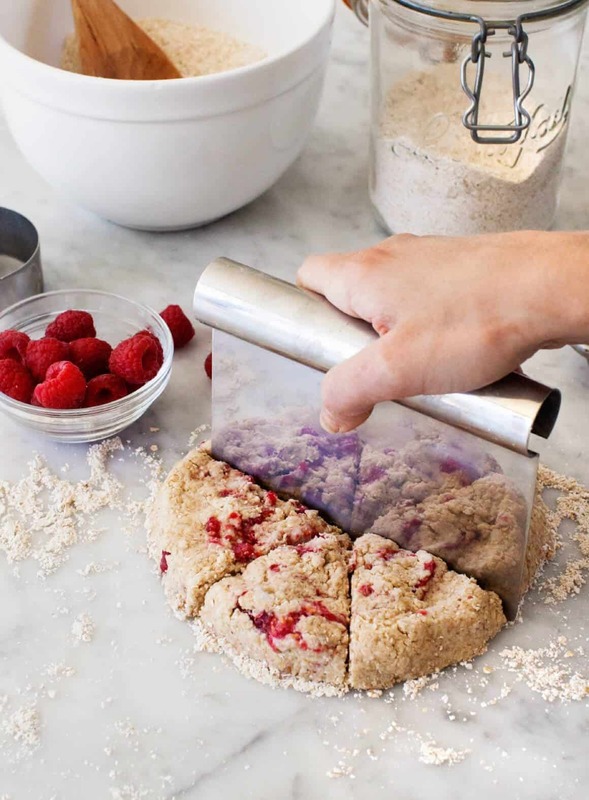 Working with one half at a time, pat the dough down and place ⅓ cup of the raspberries on one side of the dough. Fold the other side of the dough over the raspberries and press gently so that some raspberries show through. Shape the dough into a 1” thick round and slice into 6 triangles. Transfer the scones to the baking sheet. Repeat with the second half of dough. Bake for 12 to 15 minutes or until golden brown. Remove the scones from the oven and cool on the pan for 10 minutes before transferring to a wire rack to finish cooling. When they are completely cool, drizzle with the glaze and serve. This one is best if you make the recipe following the exact instructions. If you swap flours, etc, I can't guarantee the results, thanks! These look gorgeous and I love that they are GF! Can’t wait to try these! I bought a big bag of coconut flour but every vegan recipe I try with it totally flops. Yay scones! I had no idea that scones could be vegan, but these look delicious! That is a lot of white sugar in the glaze -yikes. What can you substitute? You can skip it, they’re plenty sweet without the glaze. Sooo beautiful! Scones for the win! These are so PRETTY!! Why don’t I ever think about baking with raspberries? They’re so beautiful. I love the oat/ coconut flour combo as well. Very creative work around to lighten them up! 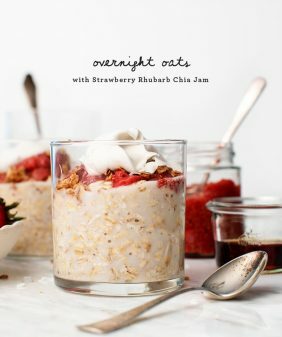 What might be a good substitute for oat flour if one doesn’t eat grains? Hi Robyn, I’m not sure how to make these grain-free, so sorry! Hi Robyn! I realize this is like a year later, but mind over munch has an almond flour scone that you could try 🙂 Hope that helps! They look so good! yummy yummy! Awesome recipe to make easy peasy qeema! Looks so scrumptious! Can’t wait to try this! I meant “scones”. Autocorrect error. These look delicious! Would love to have these as a nice brunch or dessert. Plus I love raspberry, so I’m all for this. Oh, the glaze on these scones just takes them over the edge- why have I never thought to make a vegan glaze with almond milk before! I love how these look super dense and a bit crumbly. I’ve been debating if I should indulge my craving in making (devouring) some scones…my favorite! and there isn’t much control when I encounter these wonderful creations. I think this(recipe) might have pushed me over the edge. I even have all the ingredients! It was meant to be!!! Thanks – great pics!! i love baking scones and can’t wait to try this recipe. I always have trouble cutting the dough into triangles. What is this wonderful device to cut them that you used and is shown here? I’d like to buy one! Any tricks? Omg! I can’t wait to try this out! It looks so inviting and the ingredients are all so good, it’s impossible not to like the final result. Maybe this will help me use up my coconut flour! I pretty much hate trying to use it, but combining with oats seems like a good idea. Hi Sarah, I used Bob’s Red Mill’s flour – I haven’t tried enough brands to know if one is better than another. The biggest thing is that it can’t be replaced in baking 1:1 because it doesn’t act like other flours. And it never works as the only flour in a recipe (at least as far as my experiments have gone), which is why I have a a much bigger oat flour to coconut flour ratio here. Hope you like the scones! I love making scones on Saturday morning. It’s such a great way to start the weekend. I always end up with way too many though, so definitely going to try freezing some next time! Wow, these look really awesome and probably nice too. This recipe is so great!!! I’ve tried this weekend and is so delicious!!! Hi Ana, I’m glad you liked it! You could use butter instead of coconut oil, and you could use extra oat flour instead of the coconut, but you will likely have to use more than the 1/2 cup since coconut flour absorbs more moisture. Basically, you will want to add enough oat flour until your dough is workable and not too too sticky. Hope that helps! Ohhh so tempting, want to make it soon, but I was wondering if I could substitute raspberries for strawberries. Hi Jona, I didn’t try this with strawberries, so I can’t say for sure – but they might be too watery and add too much moisture to the dough. (The flour here is measured specifically for the water-factor in raspberries). Another fruit (say blueberries), would be easier to sub in. I have to avoid coconut oil,and butter. Do you think the recipe would work using another oil i.e., Rapeseed (canola) or light olive oil? Also I am now making my own unsweetened almond milk using a Vitamix blender will the consistency of this be similar/same to brand suggested? Many thanks. I haven’t tried this with other oils, but I think it’s really important to use chilled hardened coconut oil (or butter) because they’re both solid fats. 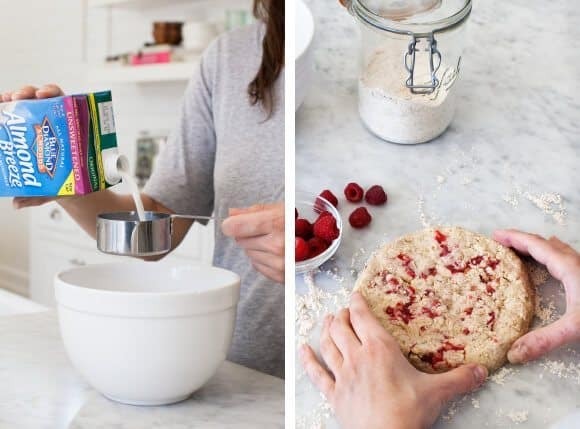 This step is really important for the texture of the scones: “Cut in the chilled coconut oil using a pastry cutter or fork until the mixture resembles coarse crumbs,” and I it wouldn’t be possible to achieve this with oil that’s in a liquid form. I’m not sure what the consistency of your almond milk is, so it’s hard for me to say from here :). But homemade almond milk should work fine. I’m so excited about this recipe. I’ve had a lot of success making gluten free cookies and muffins and quick breads, but gf scones have given me so much trouble and my family loves scones! I will be trying these very, very soon, may swap out the raspberries for blueberries. What do you think of adding in some slivered almonds? I just made these and while the flavor is delicious, I had a few roadblocks. Chilling the coconut oil made a solid mass so hard, it was impossible to work with by hand. Bent my pastey cutters, evaded two knives- I had to squeeze each piece with my fingers so tight to just smooch them smaller. Food processor is a must. They needed about 10 extra min to cook and came out flatter and spread thin. Any ideas why? I followed all ingredients to a tee. Hi Vanessa, you coconut oil shouldn’t be so hard that it’s difficult to work with – I suggest letting it melt a little until it’s a more workable consistency. Or use the food processor instead, just be sure to pulse only until coarse crumbs form. If they spread while baking it means that the dough got worked a little too much. Hope that helps! I just made these–no raspberries, so I used peaches, and they were delicious! The texture is divine. However, I found that the taste of the baking powder was really strong and overpowering. Do you think they can be made with less–maybe 1 or 1.5 teaspoons? I made them with blackberries instead because that was i had and it was still DELICIOUS. I had to restrain myself to make another batch instantly. Yay, I’m so glad! Thank you for sharing..
Hi Karen, I’ve never baked with stevia, but I’ve heard that it’s not a 1:1 swap. For this recipe, I recommend following it exactly so that the texture will work out. A few other recent recipes use maple syrup instead of cane sugar, you might want to check those out! 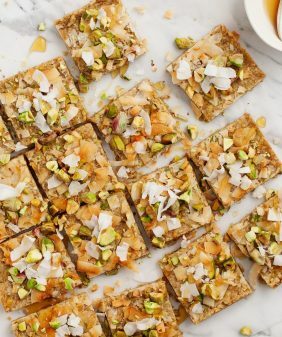 (the carrot breakfast cookies, the no-bake bites). Hope that helps! Delicious… and texture is amazing! I did sub coconut sugar for cane sugar & canned coconut milk for almond milk. Thanks for recipe! Oh my gosh! These are delicious! 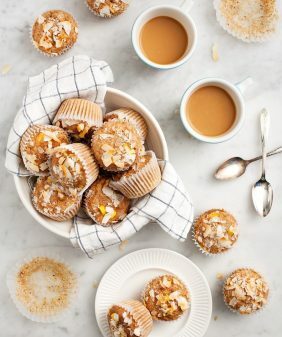 I have been looking for more gluten-free recipes, especially with coconut flour because I have so much of it, and this recipe is FANTASTIC! I added some chia seeds for more protein and some chunks of dark chocolate instead of the glaze and I was not disappointed. Thank you for this recipe, it will be added to my regular rotation. These are delicious!!! We’re not as pretty as yours but tasted amazing. I have a lot of food allergies and often find it hard to recreate treats without allergens. This was an exception. Tasted better than mainstream scones for sure! I added a decent amount of almond extract, ground flax, and chopped almonds. I also used a frozen berry medley instead of just raspberries because it’s what I had. I put toasted coconut flakes on top and it was a nice touch. Thanks for the great recipe! Do you have any suggestions for what to serve these with? Can’t wait to try them. Thanks! Can another type of milk be substituted for almond milk? If so, do you suggest a specific milk? These sound delicious! Just wondering, what recipe plugin do you use? I really love yours and am unhappy with mine at the moment 🙂 thanks! I was so excited to find a recipe that is gluten-free, egg free, dairy-free, and nut free that everyone in the family can enjoy. In place of the berries I used a chopped apple, plus I added 1/2 tablespoon of cinnamon to the dry ingredients. I also used xylitol in place of the sugar. This was delicious! Thanks so much for this recipe. Hi, I just made these and they turned out so yummy! It’s so nice to be able to eat wheat-less scones! I’ve so missed scones, so thanks for sharing your recipe! Anyway, I was wondering, what is the best way to store these and how long will they last, if you’re not freezing them? Yay, I’m so glad you enjoyed these! Store them in an air tight container – they should last about 4 days – although I like to freeze them after the first day and just heat one up as needed. These are delicious! I added 1/2 teaspoon lemon extract and the zest of one lemon. Also used coconut milk instead of almond milk. Used frozen raspberries. So good! My husband loved them and he’s not gluten free or vegan. Thanks for the recipe! Hi Angelaerin, I’m so glad you and your husband loved them! I just made these using blueberries instead of raspberries, subbing in coconut milk and then coconut sugar in place of the cane. No glaze. YUM. 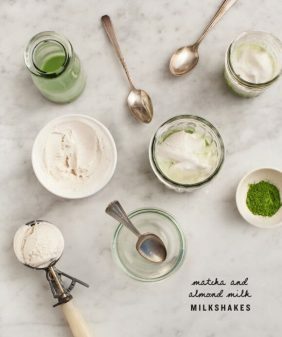 This will be a new go-to recipe. I’m gluten free, dairy free, and needing to stay away from processed flours and sugars. But I LOVE my baked goods. So glad to have a yummy scone again! 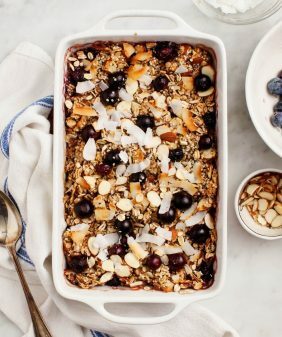 I think it would be really yummy with the lemon added in when using blueberries or to sprinkle some coconut sugar on top before baking. Hi Monica – I’m so happy you loved the recipe!! Agreed, about the lemon! Sooooo happy with these. I’m home sick and craving scones. I didn’t have any berries so I added 1 tsp vanilla and cinnamon, and a little nutmeg and cardamom. Delicious! Loved the texture. My coconut oil was very solid ( I had it in the fridge overnight) so I used a box grater until it got warmer then used forks…it was fine. This is a wonderful recipe Jeanine…I can’t wait to try it with raspberries! Right now, I’m going for a second scone while they’re still warm. Thanks so much for giving me delectable gf scones! Hi Jen! Yay, I’m so glad you loved these! That’s a great tip about using a box grater for the coconut oil – thanks!! THESE ARE AMAZING! I am so so happy. They turned out perfect, although I had to bake them about 5 minutes longer. I added cranberries instead and 1 tablespoon of flax and about 1/2 tablespoon more coconut oil as it wasn’t binding. A staple! Perfect texture. I’m so glad you loved the scones! Thank you for sharing! Swapping to oat flour and swapping the coconut flour with ground flax seed worked really well. Good luck to everybody making this! Oh also I swapped regular sugar with coconut sugar and it was perfect. I’m so glad you liked them! Thank you for sharing your modifications! Did you still use the same amount of coconut sugar then? yep, I’d use the same amount. I made these for a friend’s 50th Birthday Tea, out of all the attendees she is the only one who follows a gluten-free, vegan diet so everyone was highly suspicious of this dish. It ended up being the superstar of the meal. Sharing the recipe with everyone in a few minutes, as they requested. Hi! 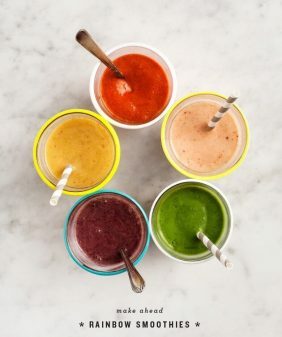 I have made these a few times and have loved the results! Is there any way to sub out the coconut flour though? I am trying to keep them gluten-free, so that definitely complicates things haha. Would something like arrowroot or cornstarch work if I upped the oat flour a bit? Can I use coconut sugar instead of cane sugar? I absolutely love this recipe. I have made it 3 times now and have been extremely satisfied every time. I tried it the last time grinding the gluten free oats in my Vitamix to make the flour. They were very, very moist but not soggy. Amazing! (I did omit the fruit so they were a plain scone this way, not a fruit scone.) Thank you for sharing this recipe!!! Hi Nona, if you separate the dough into 2 halves, you will get 12 small scones. If you got 6, they’re just larger than mine – I hope they baked off alright? These are so great! Gave some to my non-vegan family, and they all loved it! This a must-try!! I’m so glad you all loved the scones! Can I sub almond milk for coconut milk? they would be more dry because the canned coconut milk contains more fat than regular almond milk.